How would you like to improve your odds at the casino? Of course, the odds are against you—the house gives itself an advantage so that it can turn a profit. But how greatly the odds are stacked against you depends on which games you play and which bets you place. If you play blackjack or poker extremely well, those games offer attractive odds—but they are poor choices if you haven’t mastered them. Baccarat offers fair odds and is very easy to play. Gamblers simply decide whether to bet on the banker, the player or a tie before each hand. The banker bet offers the lowest house edge. Once the bets are down, both the player and the banker receive either two or three cards. (The rules for when a third card is dealt can be confusing, but you don’t need to understand this to play.) Aces are worth one…face cards and 10s are worth zero…and other cards are worth their face value. The totals are added up, and the score with the higher final digit wins. Example: A hand containing a three and a five beats one containing an eight and a nine because three and five make eight, while eight and nine add up to seventeen—which is a score of seven because only the last digit counts. The craps table features some of the best bets in the casino. Put your chips on the pass line, and you will win if a seven or an 11 is rolled and lose if a two, three or 12 is rolled. If any other number is rolled, you will win if that number is rolled again before a seven is rolled but lose if it isn’t. Helpful: The “don’t pass” line actually offers slightly better odds than the pass line. But the advantage is extremely slim—just two cents for every $100 bet—and gamblers who bet “don’t pass” are betting against their fellow players. The tiny advantage isn’t worth the nasty looks. This is a rare example of a bet where the house has no advantage. It’s such an attractive bet that casinos don’t promote it—craps tables don’t specify where odds bets should be placed, and dealers don’t mention these bets as an option. One catch—you can place an odds bet only if you already have placed a pass line bet. It works like this—if you make a pass line bet and a four, five, six, eight, nine or 10 is rolled, you place additional chips on the open green felt behind your original pass line bet. If the point is made—that is, if the number rolled on the initial “come out” roll is rolled again before a seven—this additional bet pays off two-to-one if the point was four or 10…three-to-two if it was five or nine…or six-to-five if it was six or eight. Casinos limit the size of odds bets. These limits vary depending on house rules, the amount initially bet and the point to be made. There should be a sign listing these limits on the table. Example: If the sign says “3-4-5X,” you can bet up to three times the amount of your pass line bet if the point is four or 10…four times if it’s five or nine…or five times if it’s six or eight. If you’re not certain of the size of the odds bet that you’re allowed to make, ask the dealer for clarification. Dealers sometimes even will provide these limits on a hand-by-hand basis—particularly for gamblers who tip. Warning: Don’t put your chips in the “Big six and Big eight” box just inside the pass line—this offers worse odds. Pai Gow requires some skill, but it’s easy to learn and fun to play and the odds aren’t stacked too badly against players. The pace of play is relatively slow—perhaps three to four minutes per hand —further limiting potential losses. Players are dealt seven cards facedown, which they divide up into two hands—one a traditional five-card poker hand…the other a two-card hand where only pairs and high cards matter, not flushes or straights. Each player’s five-card hand must beat his two-card hand, a rule novices sometimes forget. Casino gamblers play Pai Gow poker against the house (or a player acting as banker), not against the other players. Beat the dealer with both the five-card and two-card hand, and it pays even money, minus a 5% commission. If the dealer and the player have the same hands—called a copy—the tie goes to the dealer. If the player wins one hand and loses the other hand, it is a push—you keep your bet but win nothing. Pushes are fairly common, so competent players can play a lot of cards without losing a lot of money. 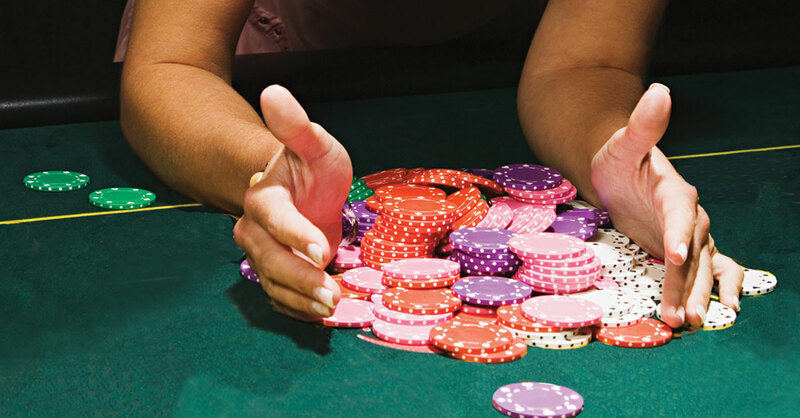 If the dealer wins both hands, the player loses the entire wager. Google the terms “Pai Gow” and “strategy” to learn the basics before you play in a casino. It takes only a few minutes to learn enough to get by. Warning: The Pai Gow poker deck includes a joker, but at most casinos, this joker is not completely wild—it can be used only as an ace or to complete a straight, flush or straight flush. Baccarat Tie Bet. 14.36% house edge. This is the one truly bad bet at the baccarat table. Blackjack insurance bet. 7.47% house edge (assuming an eight-deck game). When the house shows an ace, players can buy “insurance” against the chance that it has a 10 or face card in the hole (underneath). Decline this offer—insurance costs a lot more than it saves in the long run. Craps prop bets. 5% to 17% house edge. All of the bets in the middle of the craps table offer very poor odds. Examples: “Hardways” and “One Roll” bets. Keno. 25% house edge. This game is designed to appeal to lottery players —and the odds are nearly as bad. Slot machines. 5% to 17% house edge. Not only does the house have a big edge with slots, the game moves very quickly, accelerating gamblers’ losses. *House edge (advantage) is the ratio of average loss to the entire bet.